The dry clays on this page are made with the same blend of raw materials as our moist pugged clays; we just haven't added the water. The materials have been thoroughy mixed together and bagged into 50-pound units. Mixing your own clay from start to finish has both benefits and drawbacks. It gives you better control of the consistency and ingredients in your clay, but generally requires a substantial investment in equipment. Mixing your own clay can also provide you with a way to re-use and recycle scraps from production, but imposes a cost in storage and work space. If you're interested in this process, we'd be happy to provide you with more information. Please feel free to call or email us! 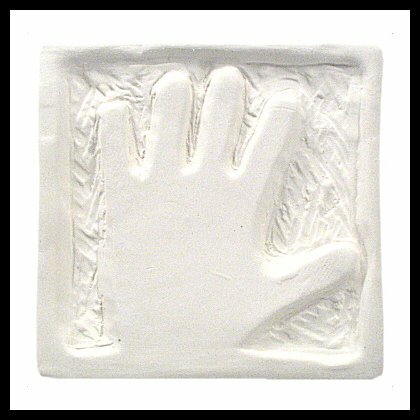 Our best, most friendly white earthenware! This is the one we recommend because you can really throw it! It has great "stick" when attaching parts or handbuilding. This clay is a great match for no-lead glazes. Give it a try and you'll never "wonder" which clay to use again.